There are some fantastic Halloween offers at CasinoPlex! Halloween is here and CasinoPlex is making sure its players can have a great tie and enjoy some fantastic rewards that will help them celebrate Halloween. The first promotion being offered is the “Halloween Fortune” race which invites players to win a share of the €10.000 prize pool it has to offer. In order for players to participate in this promotion they just need to be sure to play the Halloween Fortune slots game between October 30th and November 3rd. At the conclusion of the promotional period the top ten players with the highest scores with the lowest numbers of games played will win. Another one of the great Halloween promotions being offered is a deposit bonus that is worth 100% of their deposits for an amount of up to $100. These bonuses are offered on every deposit the player makes into their account during the promotional days. This bonus has a wagering requirement of 50 times to clear the bonuses. You can also send in a picture of them wearing their scariest Halloween picture to support[at]casinoplex.com and CasinoPlex will credit your account with a free bonus of £/$/€10. Your picture will be shown here together with other players’ pictures! 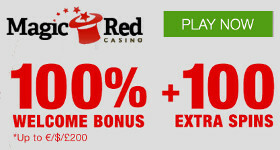 Betfred Casino is great about catering to as many of its players as possible and if you are a high roller then you will want to pay attention to the high roller bonus the casino is offering. When you decide to join this casino and your first deposit is worth at least £1,000 then the casino will give you an extra £500! This is a very large bonus that helps you to get started as a new player even faster. In order to receive the bonus all you have to do is download the software, register for your new player account, register a payment method, and deposit at least £1,000. When you make your deposit and it qualifies for this bonus you will see a pop up appear that will ask whether or not you agree to the bonus. By agreeing you are accepting the terms and conditions and the bonus will be automatically credited to your account. It should be noted that this bonus is not available on the mobile version of the casino. Countries that are not eligible to receive this bonus include Bulgaria, USA, China, Japan, Estonia, Israel, Netherland Antilles, Philippines, India, Thailand, and Pakistan. If you are a fan of the online slots then you want to be sure you go after the Little Britain Slots Bonus that is available. This bonus allows you to enjoy 1,000 free spins on the exciting online slots game that means a lot of fun and many chances to win! New players will be able to take advantage of this bonus by entering the code “BRIT” into the appropriate field during the registration process. Players who are already members will enter the code in the cashier section. The registration process is also simple so you can get all signed up quickly and get to enjoying all the sites benefits. You will see $10 credited into your player account because this amount is equal to 1,000 free spins on the slot machine. It is important to keep in mind that a player must deposit the minimum amount in order to qualify for the 1,000 Free Spins Bonus and this amount is $20. Players will be glad to know that the Little Britain slots game is considered by many to be one of the most entertaining slots games online. This makes this bonus even more worthwhile for players to go after. CasinoPlex came up with an extraordinary promotion that will surely make you choose CasinoPlex as your favourite site to play during this season. During the month of March 2013, play on the slot game Easter Surprise and if you reach the top of the leader board, you will not only win a free all-inclusive two week long holiday to the mysterious Easter Island in the Pacific Ocean for two, but also win the top prize of the $50,000 prizepool, which is $10,000 in cash! And if you don’t manage to reach the top, there are 99 more cash prizes up for grabs. Simply play on the slot game Easter Surprise and make your way up to position #1 when the promotion ends. The winner will get a paid all inclusive holiday for two weeks to Easter Island for two people. Simply play on the slot game Easter Surprise and make your way up the leaderboard. The prize pool is split between the top 100 best players. The better your position is, the more you can win. Celebrate Easter 2013 in style, let CasinoPlex make your dreams come true this March!